All photos for this quilt were taken in Texas in the spring of 2005. 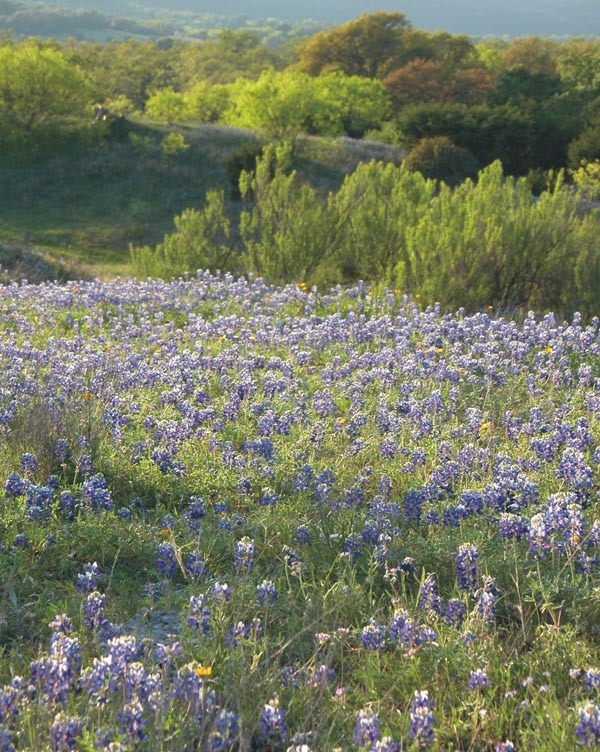 The blue flowers are Texas bluebonnets. Some of the red flowers are Indian Paintbrush. 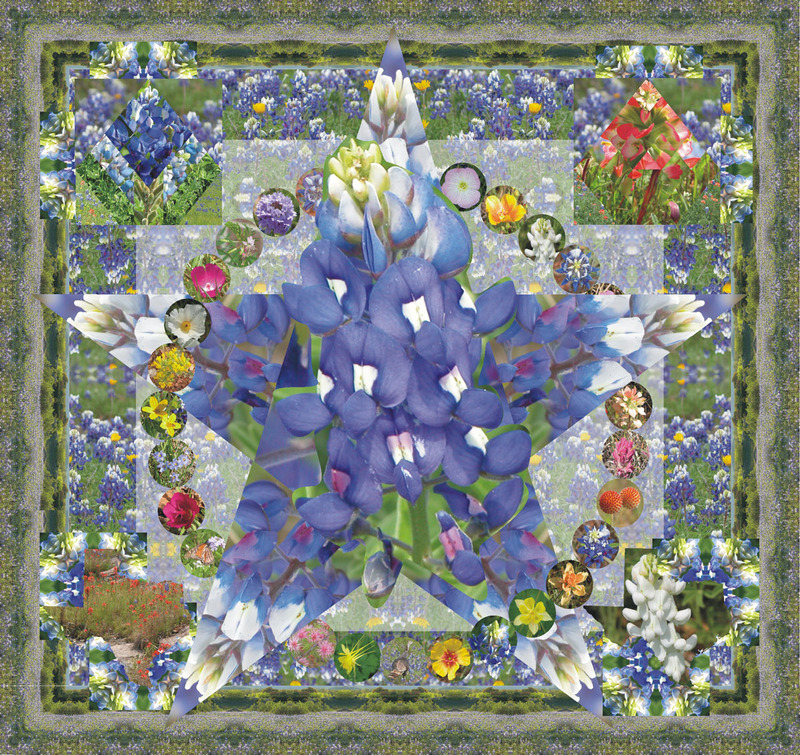 The garland of flowers around the star are other flowers that were abloom at the same time the bluebonnets bloom. One of the circles contains a photo of a wild turkey. Two Texas maps are seen in the bottom two corners. The top two corners contain the quilt block called Texas Bluebonnets. The border is made from a vista shot, an enlargement of which is below.